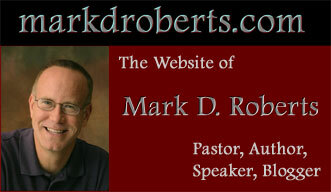 The markdroberts.com newsletter is a monthly (or so) publication for readers of the markdroberts.com website and any others who wish to subscribe. Since I already put up so much material on my website, you may be wondering why I'm adding a newsletter. Here's why: This newsletter will allow me to communicate a little more personally with regular readers of my blog. It will also let me talk about some things that go beyond the usual scope of my blog. This is a multi-media age, and this newsletter will be a valuable addition to my primary mode of communication (blogging). Once a month (or so) I'll e-mail a newsletter to my subscribers. Subscribers will also get weekly (or so) updates on my current blog topics. What Will the Newsletter Include? For a sample of my newsletter, click here. You can subscribe to this newsletter by entering your e-mail address in the space below. You can also unsubscribe at any time through the same link, if you decide you've had enough of my rambling. The technical details of maintaining the mailing list for my newsletter are being handled by Your Mailinglist Provider. I've heard good things about this company, and they have strong anti-spam and privacy policies. So I expect your information is safe with them. If you have any problems, please let me know. • I will e-mail a newsletter to you once a month or so for as long as this seems like a valuable thing to do. • I will NOT use your address for any other purpose, besides my newsletter and my series updates. I will not send you spam. I will not sell your e-mail address. Period.